As with other trips I typically travel without check-in luggage. However, as there were two of us, I thought it would be better than try to cram everything into carry on. Also it would give us more room if we bought anything. 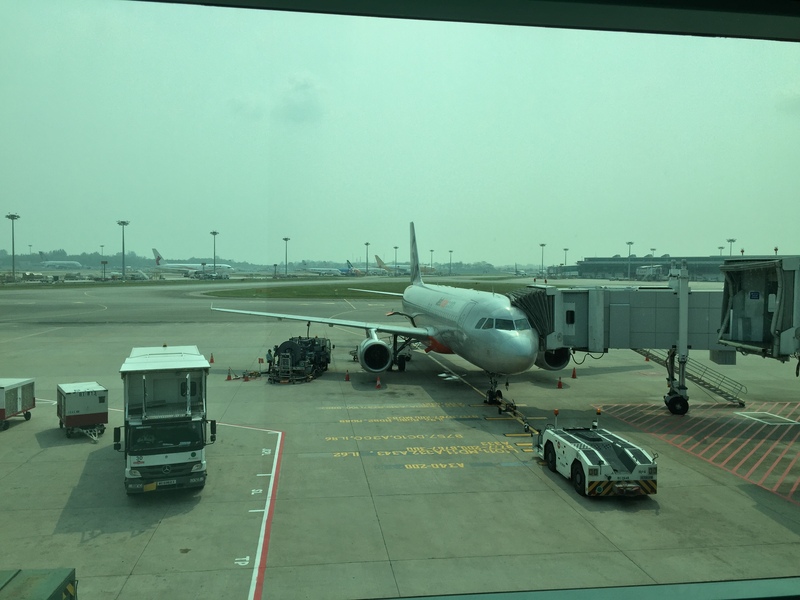 From my Bangkok trip a week earlier (please see the review for Singapore Bangkok on Jetstar) you would have seen that there was a real haze issue in Singapore. 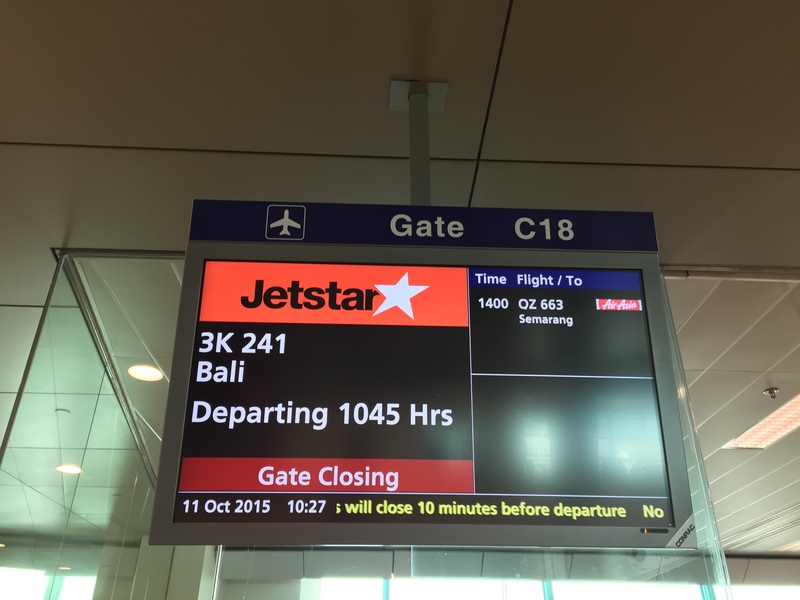 Fortunately for my flight to Bali, this was not the case as you can see from the photo below. Like my recent Bangkok trip I decided not to book a meal on the flight. I had something light at Changi before boarding. I planned that once I got to Bali I would pop into the nearest restaurant and have some nasi campur (mixed Indonesian rice). This was a full flight. I was travelling with a friend and we were separated for this flight. Though to be honest it didn’t bother me as I slept most of the flight. My modus operandi on short flights is to try to sleep as much as possible – usually I will be doing a lot of sight seeing and such like so getting rest is really important. (Though I do recognise some theories say that it doesn’t help if you catch up lost sleep). The flight left about 15 minutes late, but as with all modern flight schedules it still managed to arrive 15 minutes early. The flight was actually originally due to depart at 19:15. 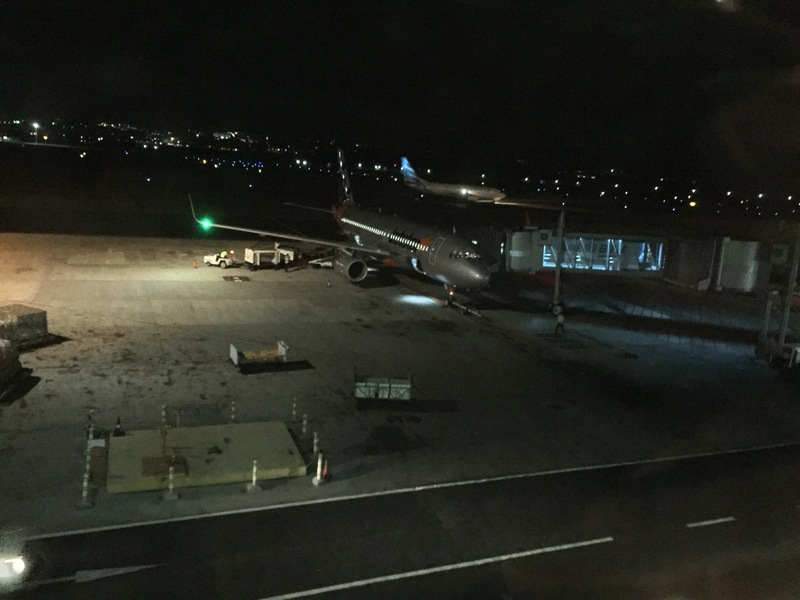 However, due to operational issues, the flight didn’t take off until close to 9pm. This allowed me more time to lie by the beach and hotel pool to get some real sun burn. I got to the airport well ahead of time (4.30pm), and decided to get a small bite to eat before going in to check-in. Of course I had arrived way too early and thus decided to eat again at about 6.30pm. We were directed to Gate 25B, but about 30 minutes before boarding we were redirected to a gate right at the end of the terminal (near the domestic departures). Again, despite taking off about 1 and a half hours after scheduled departure, we only landed an hour later than originally expected.